Ideal for farmhouse inspired settings. Textured honeycomb detail adds personality to the piece. Indented handles provide added convenience. 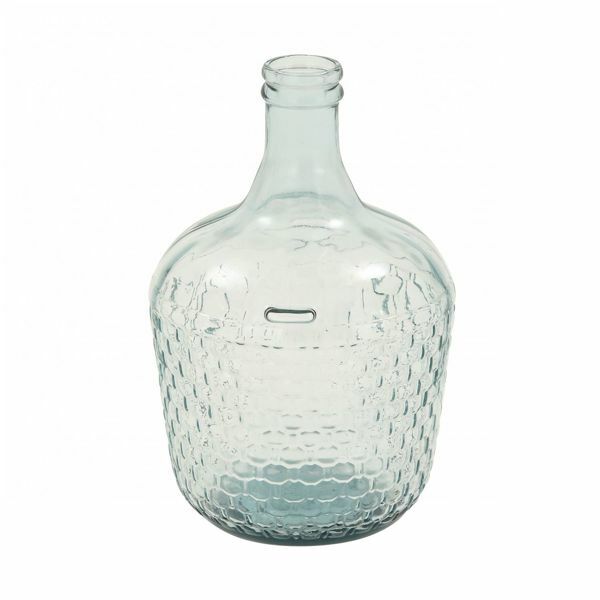 Features a clear glass structure with an aquamarine tinge.